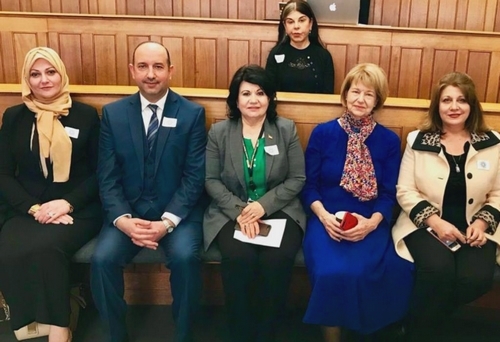 The national pioneer center for cancer research at the University of Baghdad organized an international conference on the relationship between the environmental pollution and cancer at the hospital of the University College London. The opening session was chaired by the British Prime Minister’s envoy for trade in Iraq, Baroness Emma Nicholson. The conference proceedings included several lectures delivered by distinguished specialists in pathology from Iraq and UK. At the end of the conference, important recommendations were made to the Iraqi government and the ministries of health and higher education and education research in the hope that national efforts and scientific elites will be united in order to save our country from the environmental pollution and high rates of morbidity and mortality due to cancer.